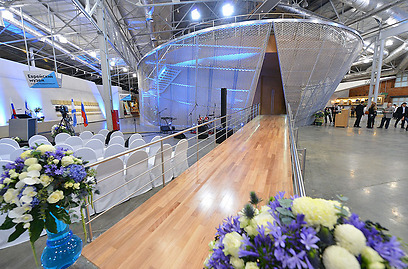 MOSCOW – President Shimon Peres, who is on an official visit to Russia, inaugurated the Jewish Museum of Tolerance on Thursday in the presence of Russian Foreign Minister Sergey Lavrov. The festive ceremony began with speeches by Minister Lavrov, Chief Rabbi of Russia Berel Lazar and Rabbi Alexander Boroda, who runs the local Chabad House and was one of the project's initiators. President Peres' address was long and emotionally moving. "At this emotional moment I can see generations of my people before my very eyes and I carry them with me," the president said. "My parents were born in Russia. In my home we spoke Yiddish, Hebrew and Russian." The cost of the museum is estimated at $60 million, and its sponsors include the World Zionist Congress and American businessman Ronald Lauder. 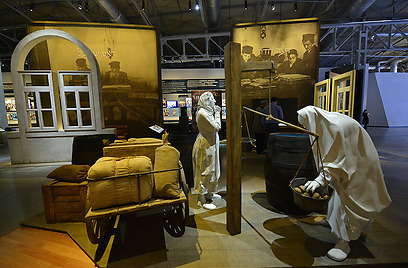 The idea to establish a museum of tolerance in Russia was supported by President Vladimir Putin, who even suggested donating his monthly salary for the project. The museum includes an interactive center with a variety of changing exhibitions, a scientific center, a children's center, and a modern arts center. 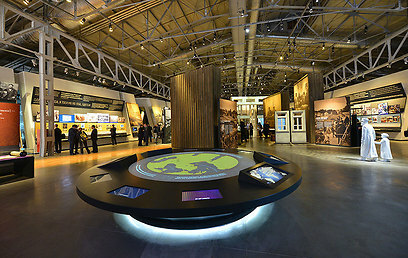 The area dedicated to the history of the Jewish people covers 4,500 square meters (48,450 square feet), with the historical axis starting with the Genesis creation narrative through the movement of Jews and Jewish communities across the world, to the two world wars and the downfall of the Soviet Union. In his speech, Peres thanked Russia for supporting the establishment of the State of Israel, adding that "the diplomatic, economic and scientific ties have been strengthened with unique cultural relations between us. Russian culture flows through Israel's veins and Jewish culture is intertwined in Russia's culture." The president concluded by saying that "there is no other museum in the world which reflects history unlike any other." See all talkbacks "Jewish Museum of Tolerance inaugurated "